You are here: Home / Ent. / Actor Liam Neeson’s Racism Confession is Actually the Beginning of a Very Important Conversation. Actor Liam Neeson’s Racism Confession is Actually the Beginning of a Very Important Conversation. (ThyBlackMan.com) Actor Liam Neeson shocked fans when he recounted a story about his own dalliance with prejudice and racism. 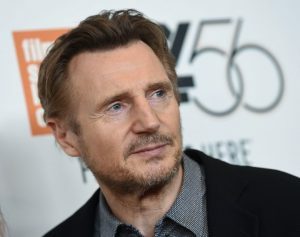 Neeson said that after a close female relative revealed to him that she’d been raped by a black man, he walked around for about a week just hoping to find someone to confront…and punish. He says he told the story as a type of confession to his own negative thoughts about race and expressed great shame about those feelings, which he eventually left behind. However, many fans are upset by his shocking revelation. Some are questioning if he’s even in his right mind to publicly admit he has harbored racist sentiments. The panel was made up of a White woman, a Black man, a Chinese-American woman and a Latino man. The moderator began by asking each panel member what their biggest concern was about race in America. The white woman said she chose to acquiesce her time to the other members as she did not feel her voice as a white person was valid to the conversation (a sentiment I found extremely unhelpful). The two men gave their own standard “here’s what’s wrong with White people” answers, but the Chinese-American woman strayed from the PC script. She told a heart-wrenching story about her immigrant father who moved into an inner-city, majority black neighborhood and opened a convenience store to support his family. He had been robbed at gunpoint not once, not twice but three times. One of those times he had been brutally beaten and left for dead. Each time his assailant was Black. She said that as a result he had begun to harbor a deep resentment towards Black people, Black men in particular. She said she would absolutely describe him as a racist and it broke her heart to say it. But then she said something that has sat on my heart from that very moment. She was absolutely right…and also booed into submission. She hardly opened her mouth to speak again after that. I have never forgotten that short, brutal burst of honesty, and I have thought deeply about it ever since. Up until that point (and it’s probably good to note I was a true blue liberal at the time) I had only ever heard racism discussed as a “White people problem”, but I’d never actually heard any non-White person suggest that the topic is more nuanced than we care to admit. It set me on a lifelong journey to delve into uncomfortable cultural conversations. What Neeson did was very brave. He uttered uncomfortable truths about himself and his own prejudice. We shouldn’t be shaming him for it. As Dr. Jordan Peterson says often, we can’t discuss bad ideas and how to make them right if we can’t even hear them in the first place. The “race conversation” can’t be a conversation unless we allow ourselves to hear thoughts and ideas that are hurtful and angering. We can’t be concerned with pointing fingers and screaming about who started it or who is worse. That ends the conversation before it can truly begin. It takes swallowing a little pride and giving up your right to be offended. It takes being willing to hear things that make you mad. It takes an extraordinary measure of honesty that begins with looking inward rather than outward. Like Liam Neeson, all of us – and I do mean absolutely all of us, black, white, right, left, etc. – need to be willing to start with ourselves and our own shortcomings on this issue. At the same time all of us –absolutely all of us – have to be open to the possibility that we may have a few things wrong when it comes to race issues in America. Neeson’s confession may be abhorrent, but his willingness to show how resentment can be borne out of pain is a vital piece of this jigsaw puzzle we call healing.